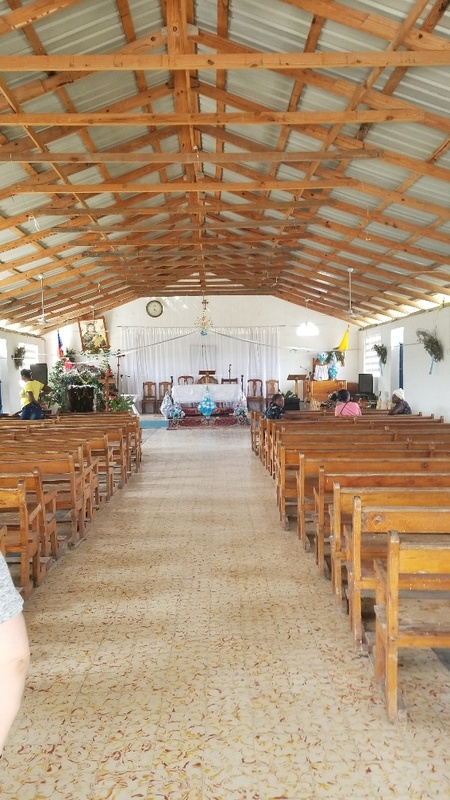 In August, 2014, a team of four people from The Church of the Precious Blood visited Our Lady of Perpetual Help Parish in Lasserre, Haiti. Monsignor Domond, the pastor, had been named pastor the January before and was given the challenge to develop the parish. Our Lady of Perpetual Help had been a mission of a parish in a neighboring town for 100 years but had never had a resident pastor. We sat with Fr. Domond as he shared with us his dream of what the parish could be. We shared his dream with the parish and we decided to "adopt" the parish as our "Sister" parish and do what we could to support the parish with our prayers and financial help. There is a clinic which provides a local doctor wiht the facility to treat parishioners. A water pump was added making it possible for a variety of trees and plants to grow providing food for the parish and the neigbors.